To those who assume that humans are the only species with complex social systems complete with the system of ethics which makes this system work, the above article in New Scientist may come as something of a surprise. To a creationist who believes humans are a special creation and that our morals were handed down to us by a magic creator, it will come as a shock and will need to be ignored or dismissed in some way to help overcome the inevitable cognitive dissonance. 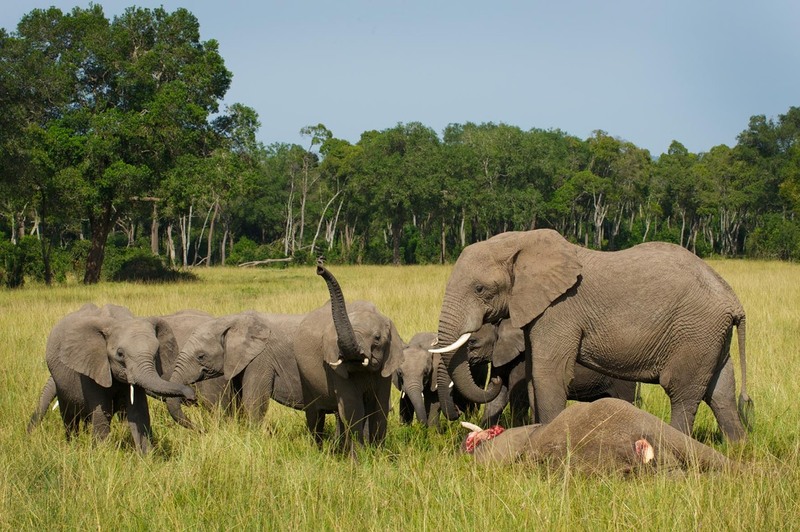 It's clear from this article that elephants are aware of death and come to visit the body of a dead matriarch, not just those from the immediate family but also those from associated groups. It's almost as though they come to pay their last respects to a dead friend, or at least come to get confirmation that the old matriarch really is dead. The entire extended clan seems to need to go through some sort of status passage before it can move on. Some have even suggested these death rituals are evidence of religion. Like humans, elephants have large brains and good memories and their young are dependent on their mother (and her sisters and older siblings) for a long time before reaching adulthood so they have a long apprenticeship for being an elephant - exactly the conditions for memes and cultures to evolve just as they have with humans, other apes and some other species. It's not surprising therefore that elephants, like humans, have cultures, cultural differences between clans, and sets of ethics which bind the groups together. Family groups are dominated by a female, usually the oldest, who maintains her position not by aggression and power but by her qualities of leadership, her wisdom, and by the groups natural deference to a matriarchal leader. She often acts as the repository of learning and experience for the groups and, in times of drought, for example, may be the only member of the group who knows where permanent sources of water may be found. It is the matriarch who makes decisions on behalf of the group. If she dies before that information and experience is passed on to a successor, that essential information will be lost to the group, with disastrous consequences. 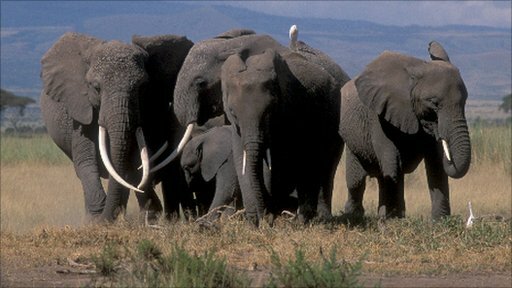 During the 1980s the population of African elephants was halved due to hunting for ivory. Prime targets were the older elephants with the largest tusks - in other words, the old matriarchal leaders as well as the largest bulls. Some groups are still recovering from the loss of matriarchs and the knowledge and wisdom that died with them. After the ivory trade was banned worldwide, the numbers began to recover but are now declining again due to poaching and the bribing of corrupt officials. A great deal of this trade is driven by the demand for religious figurines such as statues of Hindu and Christian gods, Buddhas and saints in the growing economies of India, China and Southeast Asia to be included in shrines to please imaginary deities, to give protection from their capricious whims and to influence the Universe through spells, incantations and magic hand signals. And sad little huddles of bereaved, sentient, intelligent and ethical elephants are more and more gathering round the butchered remains of their leaders and repositories of their group's wisdom to pay their last respects before choosing an inexperienced leader who doesn't know where the permanent water is or, increasingly more likely as the age of possible successors reduces, group cohesion breaks down and the group disintegrates into units too small to survive.